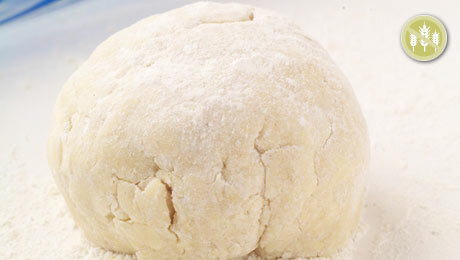 When making gluten free pastry it is important that it’s rolled out on a lightly cornflour dusted surface. Sift the flour and salt into a large bowl and add the xanthan gum. Add the butter and rub into the flour until you achieve the consistency of breadcrumbs. Next add the egg and a little water if necessary. The xanthan gum will tighten the mixture so ensure enough water is added to ensure the pastry is nice and loose. Wrap it in clingfilm and place refrigerator. First pastry recipe I've found that works! Tip: roll pastry out but fold it all back up into a ball again - second round of rolling produces a much smoother/easier to handle pastry.